Lawn care provides significant financial benefits to the economy as last year homeowners spent an estimated $11.6 billion dollars on lawn care. 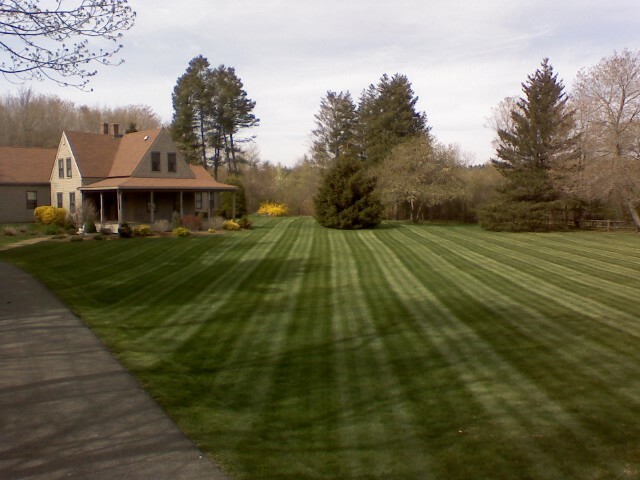 Oxygen production-a 50’X50’ lawn produces enough oxygen for a family of four. Cooling Effect-Eight healthy front lawns have the cooling effect of 70 tons of air conditioning-enough for 16 average homes. Pollution Control-Dust and smoke particles from the atmosphere are trapped by turf. Grass also converts carbon dioxide to oxygen. Water Quality-Dense, healthy grass slows down and filters runoff, removing contaminant and trapping soil.